Last week I created a new branch for my anime store. Now you can find me on Bonanzle. For some of you that, like me, didn't even know much about Bonanzle, its an online marketplace like ebay. Yet, unlike ebay, it isn't loaded with fees and is very user friendly. I was able to import all my listings there very quickly and the community there is very positive and will IM you a bunch. When I'm on the site you'll know and you can IM me with questions about items or just chat about anime, politics...whatever. 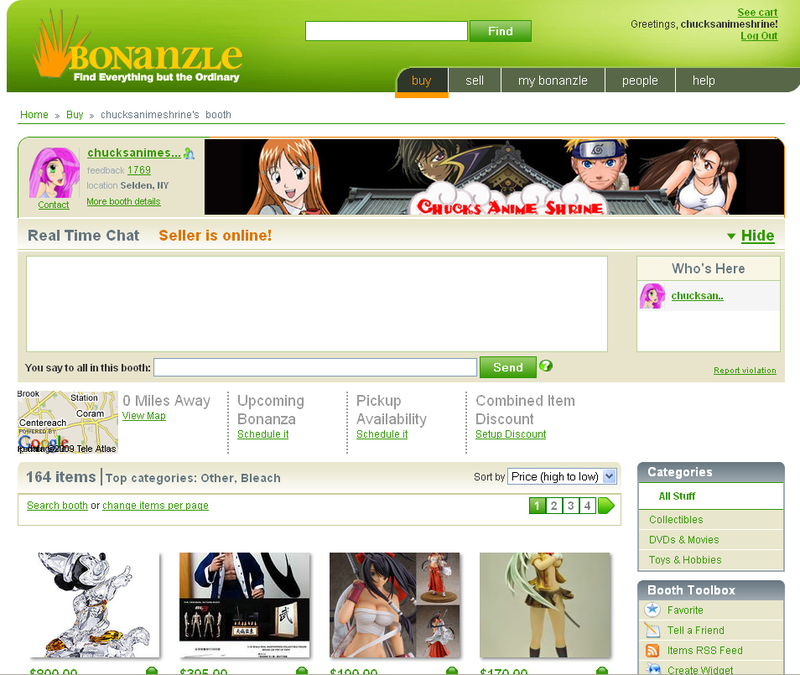 Unlike other online sellers, I don't bash eBay but I'm always looking for more fans of anime to service my store to. Overstock.com might be next.